They do look nice in the photo, but they are yet to be planted. Today, I hope. Thanks, Burni. Clif took that one. She’s a beauty – great shot, Clif! So lovely and delicate! Many, many thanks for giving it to me. Oh, I LOVE that iris. Absolutely gorgeous! I love white roses, peonies, and Irises. I love the beautiful shape of that one. It is such a delicate beauty. 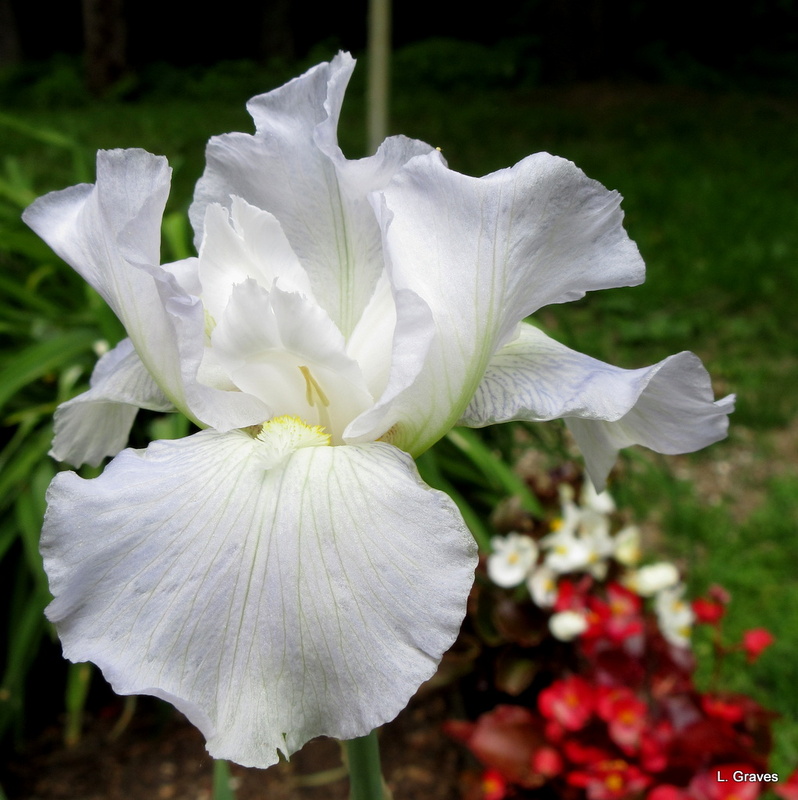 Iris are my favourite flowers and this one *is* a ‘beauty’ – pure and spotless!